Hey guys! Gnarly Tinkles here, just hanging out on FunGoPlay and wanted to write about one of my favorite games. Have you tried Rocket Foot Rampage? It’s this rad soccer game in the Soso Stadium where you try to blast the ball past dummies and of course, the FunGoPlay All-Stars. Face off against The Velvet Glove, Swish Washington or Flash Fry. Each one puts up a pretty good fight. But not a good enough fight. I love this game because you can absolutely BLAST the ball into the net. Soso Stadium? More like SO SO SATISFYING! Think you can beat my score? Try me. 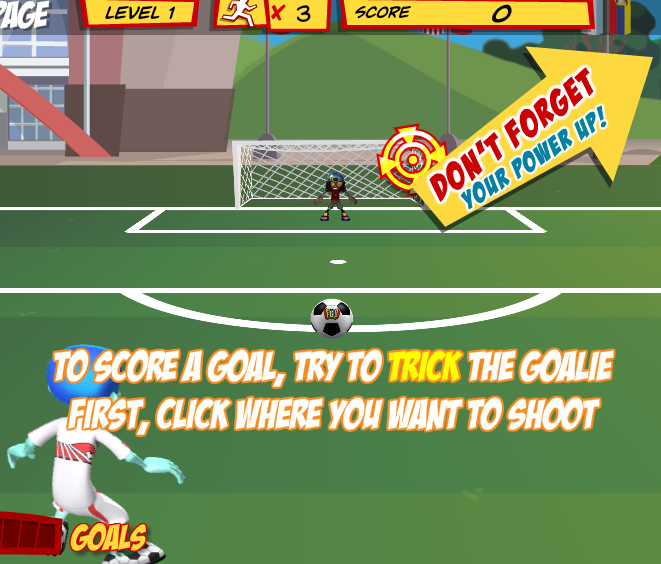 Login and play Rocket Foot Rampage! Posted by fungoplay on August 25, 2011 in Games!.